How long will therapy last and how frequent are our sessions? - Portland Jungian Analyst - Carol Walnum, MA, MBA, LPC. 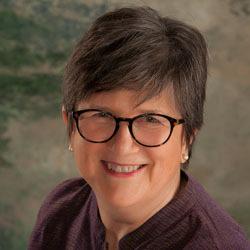 Portland Jungian Analyst - Carol Walnum, MA, MBA, LPC. How long will therapy last and how frequent are our sessions? Home / How long will therapy last and how frequent are our sessions? Engaging in therapy is a purposive step into a confidential process of personal work. During our first sessions, we will talk about how long therapy tends to last for people experiencing your particular difficulty and level of severity. Sometimes, more frequent meeting are needed for a short time at the beginning of therapy or during crisis periods until you feeling better. I see people in Jungian Analysis for longer periods of time often twice a week. People in Jungian or psychodynamic therapy come to session once a week for a period of time. I see graduate and doctoral students in psychology, depth psychology, and counseling psychology who are working toward program requirements. © 2014 by Counseling Services NE Portland. All rights reserved.